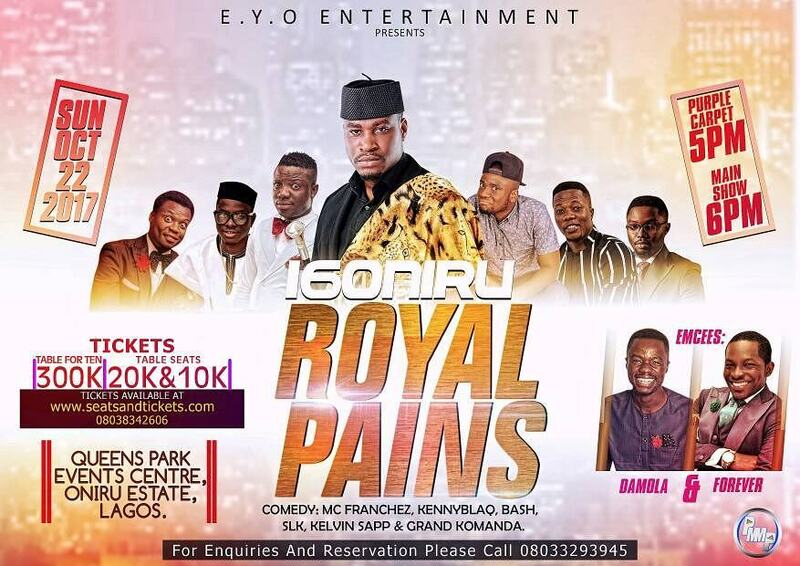 Comedians Kenny Blaq, Grand Komanda, SLK, Bash, Kelvin Sapp and MC Franchez have joined the line-up of entertainers confirmed to perform at standup comedian 16Oniru’s upcoming comedy show ‘Royal Pains’ set to hold on Sunday, October 22, 2017, at Queens Park, Oniru, Victoria Island, Lagos. Well-loved comedians Damola and Forever have also been chosen to be the official hosts at ‘Royal Pains’, which according to reports, will be one of the most entertaining affairs of the season. 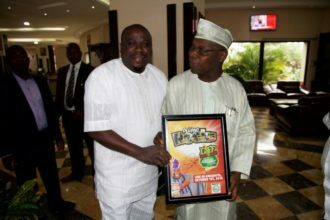 The duo will be joined on stage through the course of the show by other celebrated music acts and comedians. Other confirmed performing acts had nothing but praise and admiration for how far 16Oniru has come in his career and encouraged everyone to make the event a date. 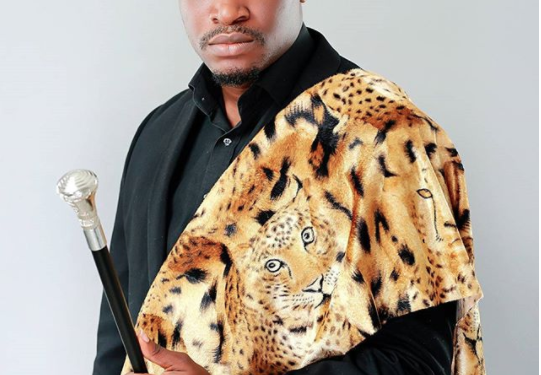 16 Oniru, who has been in the comedy industry for some years and has graced some of the biggest entertainment stages, has promised his performance at ‘Royal Pains’ won’t be short of spectacular and will leave a long-lasting mark on the sands of time. Tickets for #RoyalPains are priced at N10k and N20k per seat and N300k for a single table of 10 seats. Tickets are available for sale online at www.seatsandtickets.com For more enquiries, call 08033293945.